The coziest Garberville, CA lodging awaits! 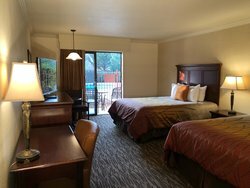 Our newly updated rooms combine lodge-like charm with modern amenities, making for the perfect place to rest after a day exploring beautiful Redwood Country. 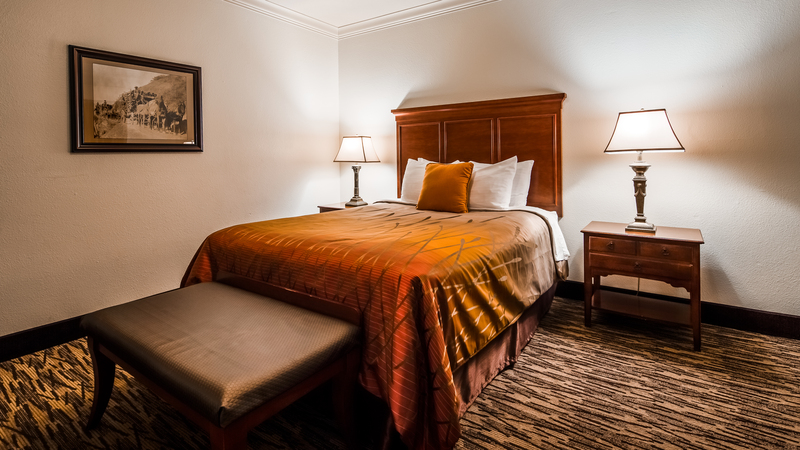 In keeping with our area’s rustic charm, our 76 well-appointed rooms and suites are decorated with dark wood and forest accents. 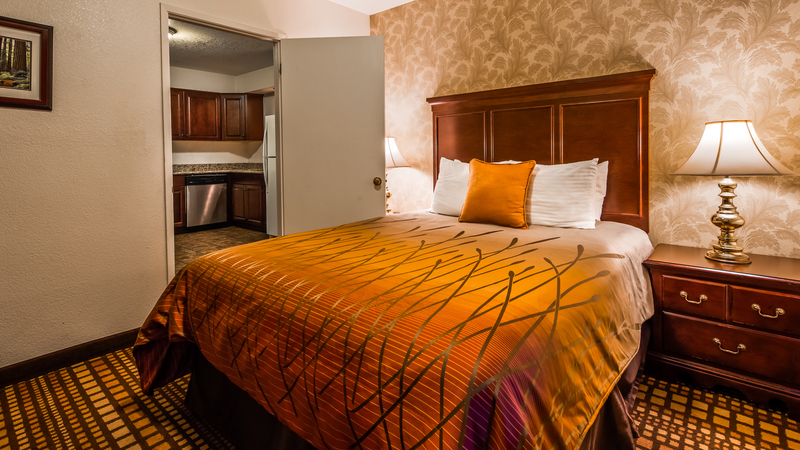 Plush beds and warm furnishings make it easy to rest up before exploring the breath-taking things to do all around us. 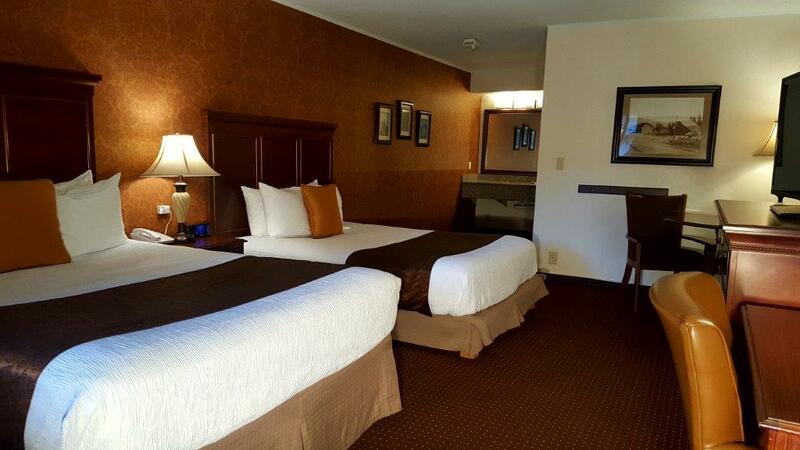 Our rooms and suites make the most of scenic Humboldt County! 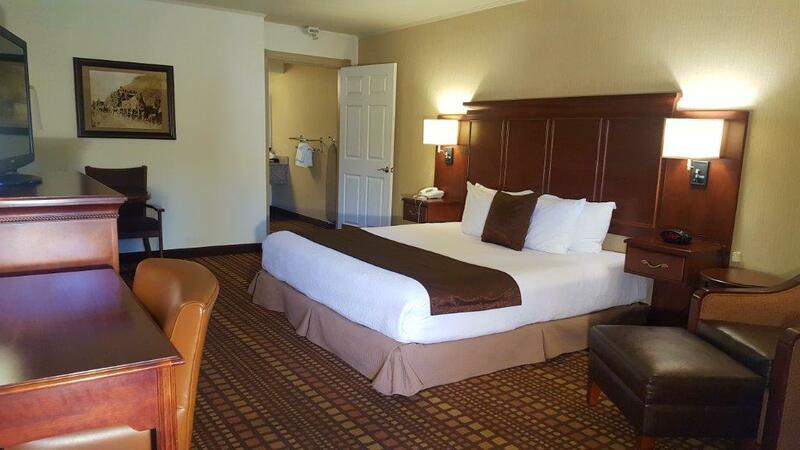 All of our rooms feature large picture windows to let in lots of beautiful California sunshine. For lovely views and Northern Californian breezes, our balcony suites provide your own private slice of quaint Garberville scenery. 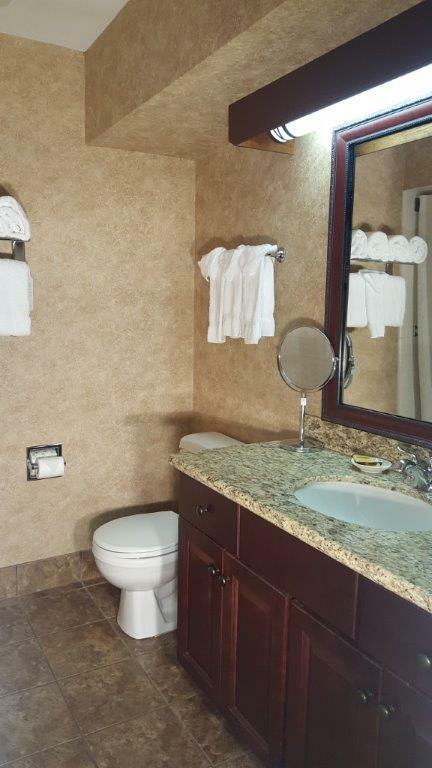 And even more amenities just outside your room! Elevate your next trip with a stay in one of our poolside rooms, overlooking the sparkling waters and lush garden. 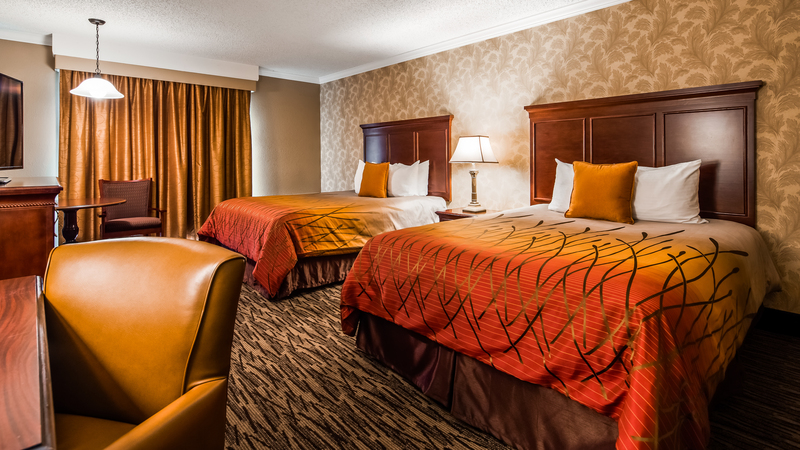 Our Two Queen rooms are perfect for traveling groups, with all the in-room amenities needed for a comfortable stay. Enjoy a picturesque view of our pool and garden area from your poolside room. This welcoming room includes a king size bed made with crisp linens and soft pillows. 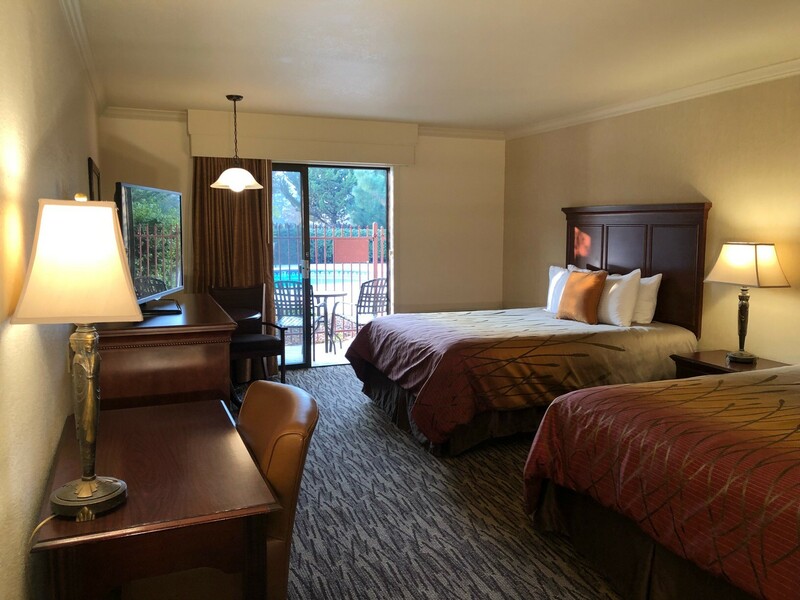 Excellent for families and friends, the 2 queen beds in these comfortable rooms are the perfect place to recharge between Redwood Country adventures. 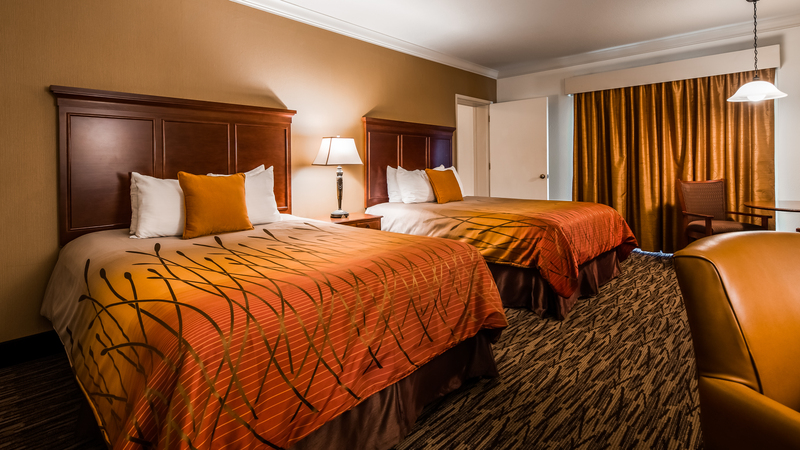 Enjoy the royal treatment in these welcoming rooms with a king-size bed for extra comfort. Views of our property or the mountains are also available by request. 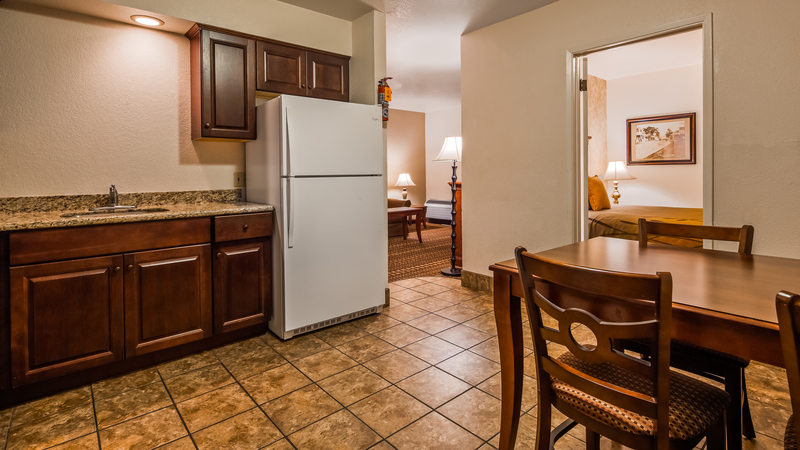 Spread out in our Two Queen Bed Suite with a Kitchen and experience all of the comforts of home. 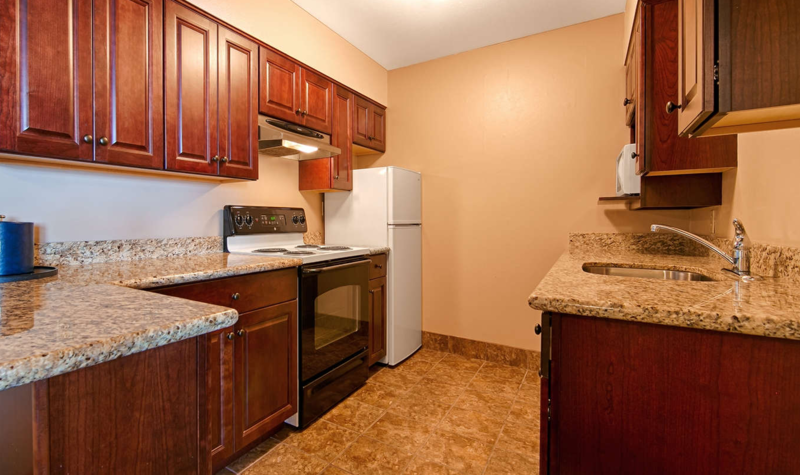 This spacious suite offers a full kitchen, equipped with all of the supplies you require to make a full meal! 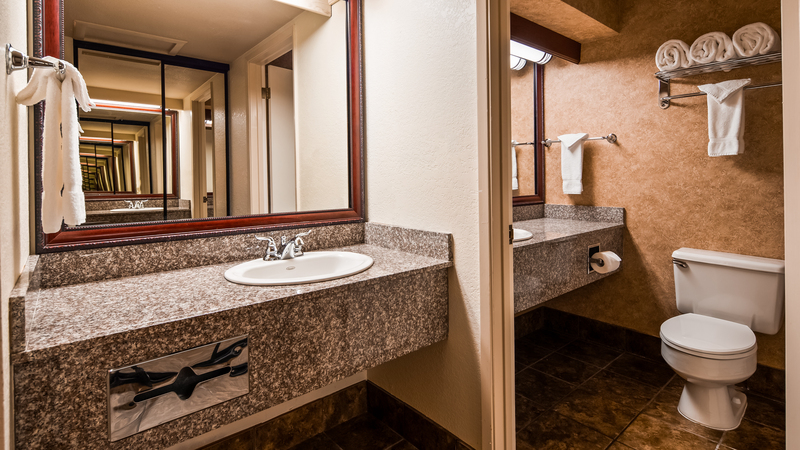 While you will only find one bathroom vanity in this expansive room, you and your travel companions will have no trouble sharing the large space. 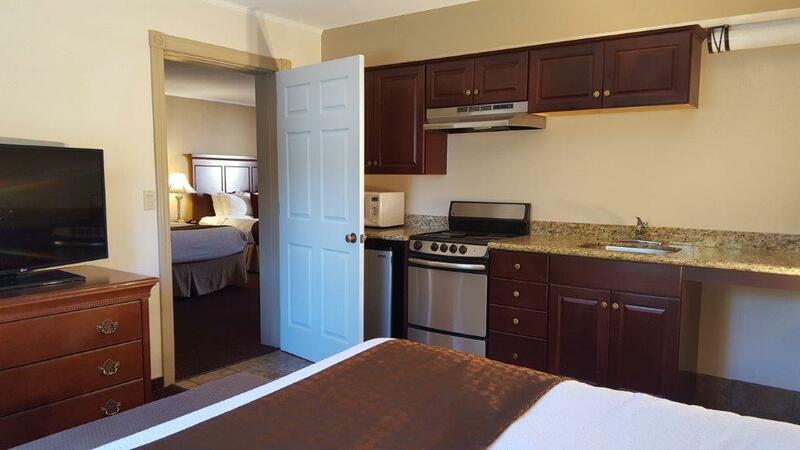 All the comforts and convenience of home can be found in our most popular suite, including a full kitchen, master bedroom with a queen bed, and living room with a sofa sleeper. It provides easy access to the water and sun, a patio, and BBQ; a great choice if you bring the kids! 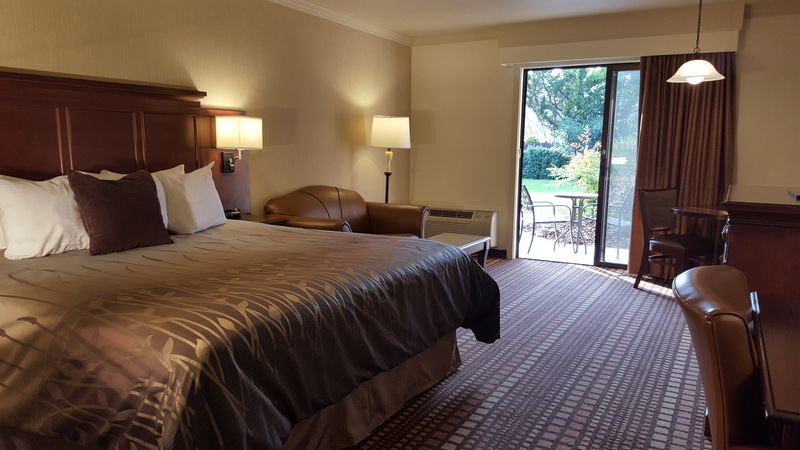 Ideal for couples and small families on Redwood Country vacations, these spacious suites feature a room with a pair of queen beds, and a master bedroom with another. Well-equipped for couples and traveling families on Redwood Country vacations, these expansive 3-bed suites feature a full kitchen and a wealth of in-room amenities. 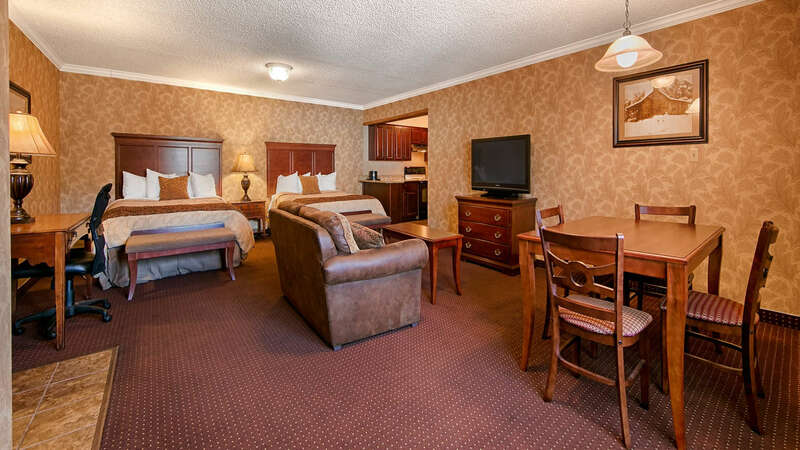 With thoughtful ADA amenities so everyone can savor Humboldt County, these rooms feature either 2 queen beds with a roll-in shower, or a single king-size with a tub.